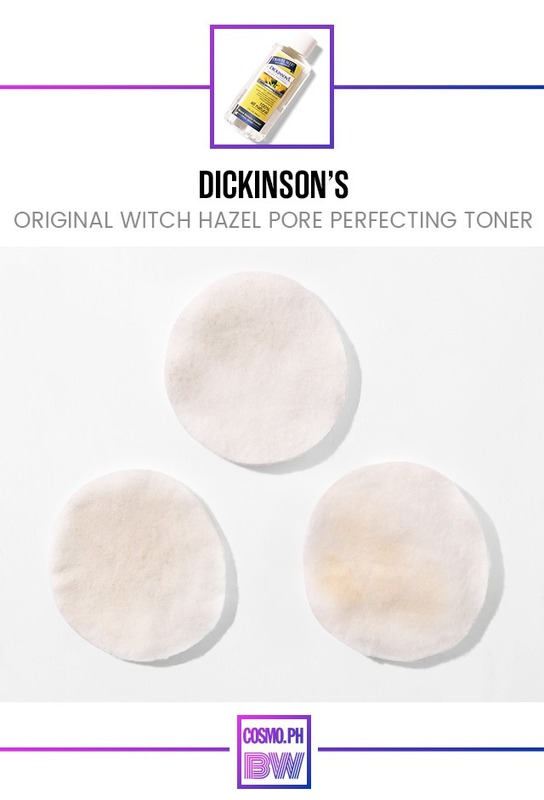 For us, toner is one of the most important steps in our skincare routines because it's able to get dirt and bacteria from our complexions that our cleansers left behind. 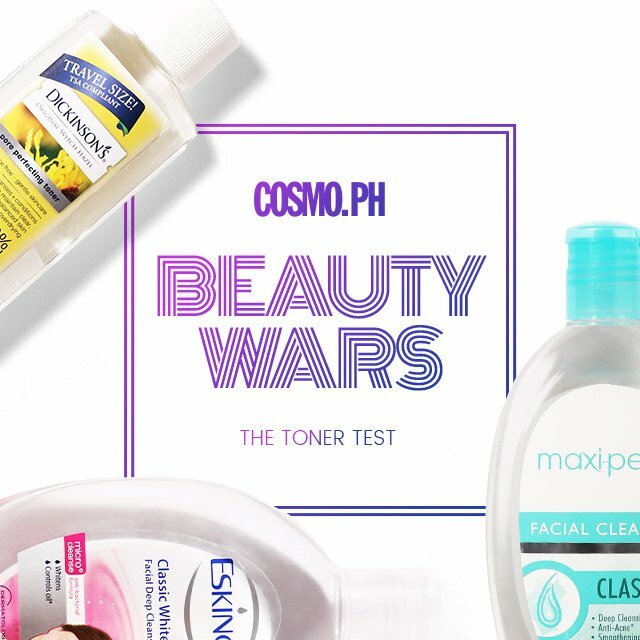 In our quest to learn which affordable toner is the ~best~ for today's Cosmo.ph Beauty Wars, three girls tested three different brands over the course of three days. 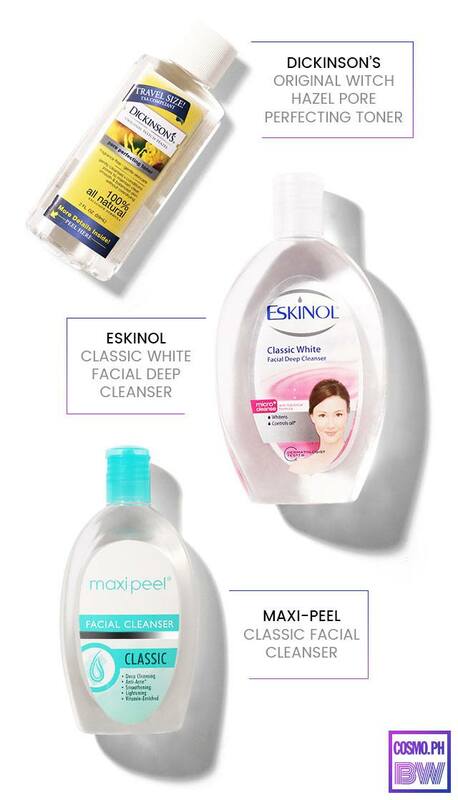 To really show which one can pick up the most dirt, we used the toner at the end of each day before washing our faces. What It Is: Besides drying up pimples and whiteheads, it also exfoliates the skin to reveal a fairer complexion. 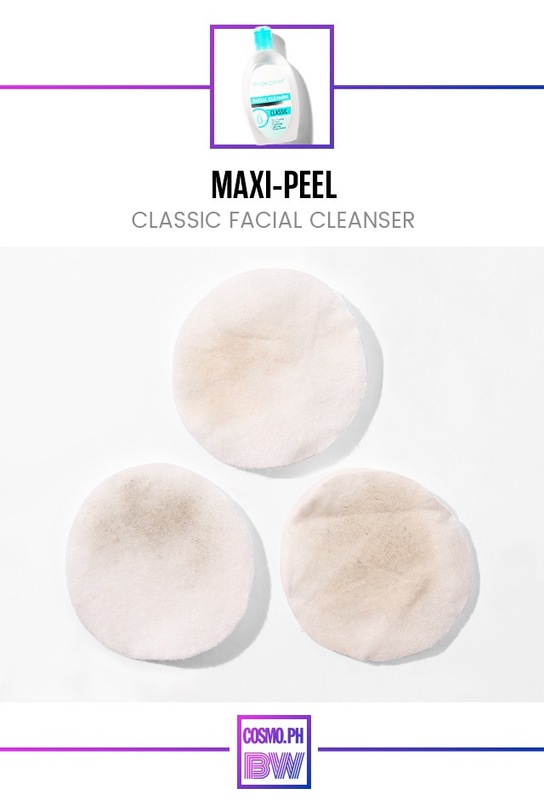 Why We Love It: It removed a fair amount of dirt and instantly mattified our complexions. What It Is: An oil-controlling and anti-bacterial formula that cleanses skin to prevent future breakouts and brighten your skin tone over time. Why We Love It: After just one use, we instantly understood why this cleanser + toner hybrid was a staple in the kits of our moms, lolas, and titas—it was able to remove dirt and leftover foundation we didn't even know we had. Amazing! What It Is: A 100% all natural formula that refines pores and gently conditions and soothes skin to give a balanced and oil-free finish. Why We Love It: Despite being 100% natural, we found that this toner smelled like plastic (Is that because it's fragrance-free?) 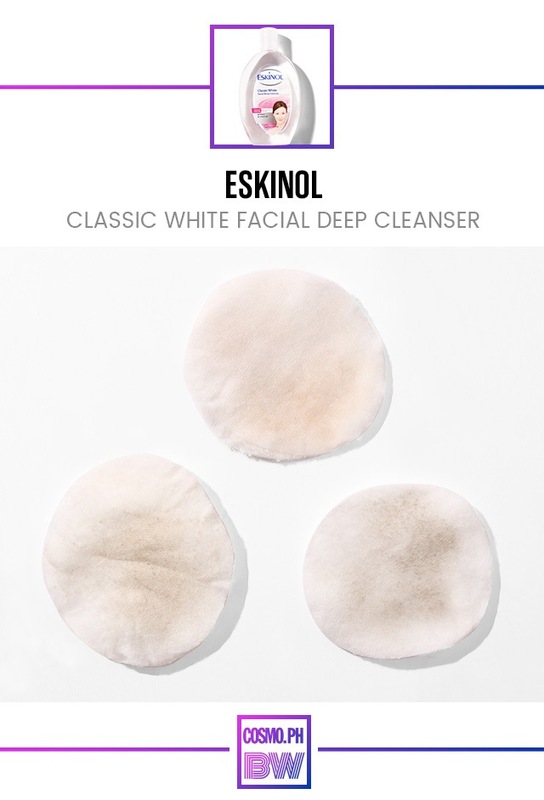 and it didn't really remove as much dirt or makeup than the other two we tested.